The Willits Table Clock is an adaptation of the art glass living room window from the Prairie-style home of the same name. 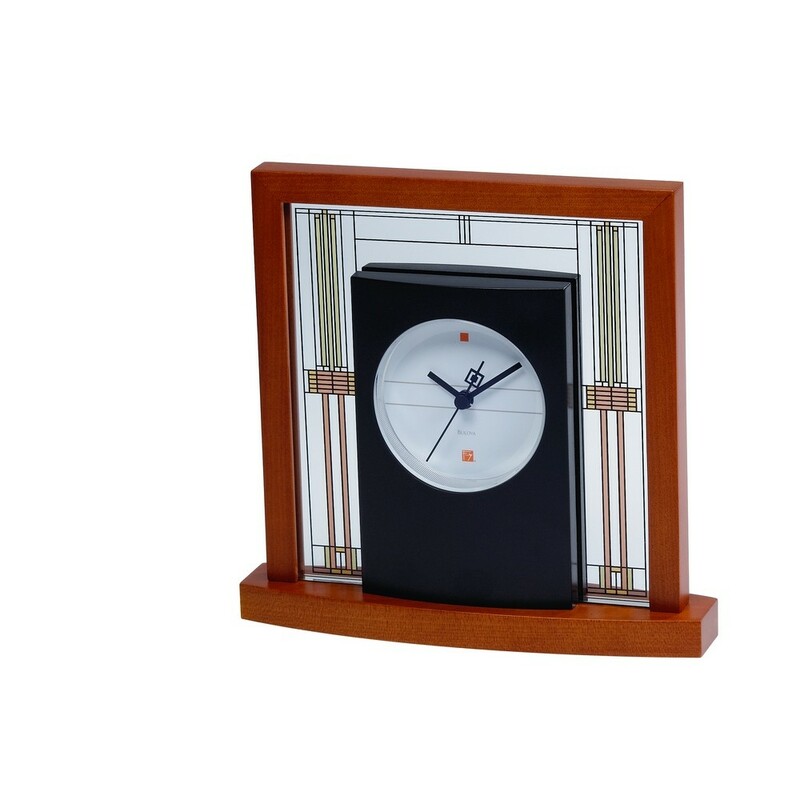 The clock with its’ solid light cherry solid wood base and mineral glass panel would make a charming addition to any tabletop. 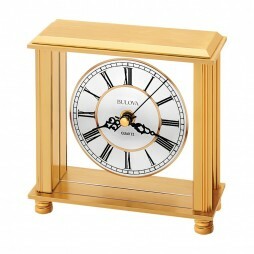 Solid wood base and frame, light cherry finish. Adaptation of the art glass living room window in the Prairie-style Ward W. Willits House, Highland Park, Illinois, 1902-03. 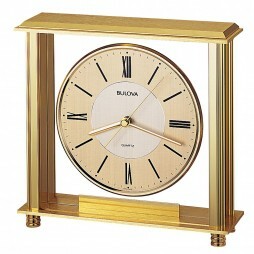 Elegant simplicity bests describes the Grand Prix Table Clock. 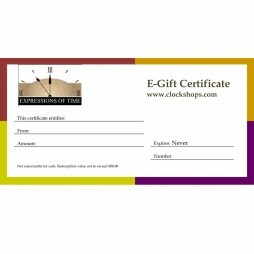 The metal case is a beautiful antique brass finish and the dial is a two-tone metal finish behind a clear protective lens. 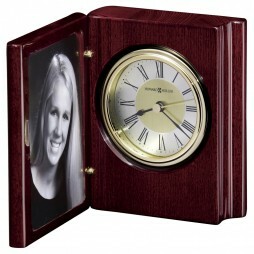 The clock comes complete with a brass engraving plate making it a perfect gift!